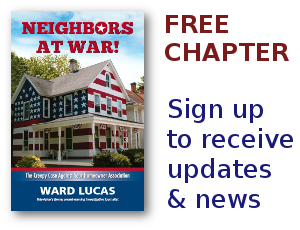 HOA Stories Archives - Page 26 of 26 - Neighbors at War! No Comments on Beware the Homeowners Association! Millions of Americans have moved into covenant-protected neighborhoods, thinking the experience will be a positive one, maintenance will protect property values, neighbors will be friendly. A good percentage will find exactly what they were searching for. Sadly, many others will discover that the move to the new neighborhood constituted a fundamental change of government. Yes, they’ve actually moved out of the United States of America and into a private non-profit corporation governed, not by the U.S. Constitution, but by a set of bylaws and restrictions. 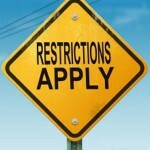 The restrictions were created by the original real estate developer and control handed over to neighborhood boards. The new corporate rules have nothing to do with the Bill of Rights with which most of us are familiar.